Professor AlexeenkoÕs research is centered upon development and application of new models and algorithms to study rarefied gas flow phenomena occurring in both high-altitude flight, such as spacecraft contamination, plume interactions, high-altitude aerothermodynamics; and in emerging technologies such as N/MEMS and in vacuum manufacturing processes. Broadening applications of rarefied gas dynamics is one of her long-term research goals. 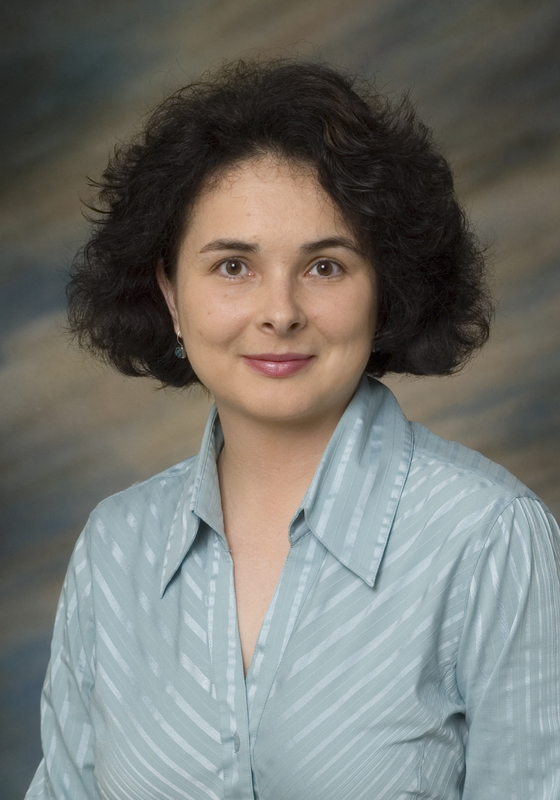 Alexeenko's group at Purdue has developed fast computational algorithms and solvers for the deterministic, as opposed to the stochastic direct simulation Monte Carlo, solution of rarefied flow problems. Such new techniques are especially useful in studying low-speed and/or unsteady phenomena such gas damping and thermal Knudsen forces in N/MEMS Êand shock wave propagation at the microscale.